I couldn’t sleep the other night, so I sewed until 4 a.m. and calmed my nerves with the whir of my sewing machine. 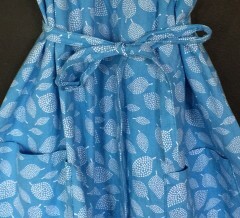 Now I have a lovely blue dress hanging on a wooden hanger taped to my chalkboard wall. While this isn’t exactly the way I had planned to whip up a project from Lotta Jansdotter’s new “Everyday Style” book, it turned out to be the best thing for me to do while I awaited sad news about my Uncle Mark who battled cancer until his passing yesterday evening. 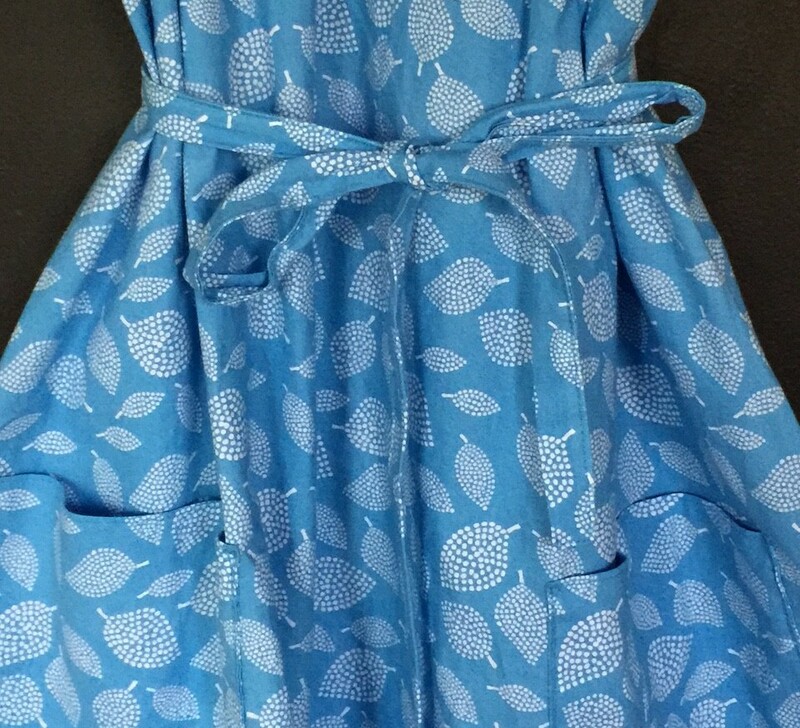 Sometimes making things is the best medicine for a heavy heart and Sunday night I was really glad to have the blue Sky Leaf print (37119-9) from Lotta’s “Mormor” fabric collection sent to me by the kind folks at Windham Fabrics. As a fan of loose-fitting dresses that allow plenty of room for me to do my thing without worrying about busting a seam, the Kiomi Dress on p.91 of Lotta’s book spoke to me. I had to make one. As my daughters got ready for bed, I traced the mid-length dress pattern pieces (included in a pocket at the back of the book) onto freezer paper as I do with every pattern I sew. My cat, Justine, loves this part and planted herself right in the middle of the action as she often does. 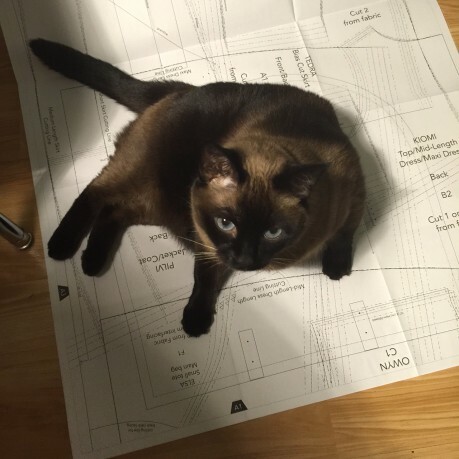 I shooed her off the pattern about a dozen times as I traced and cut out the pieces. I love that I can count on Justine’s cat shenanigans to make the boring prep work quite hilarious. The great thing about the Kiomi Dress is that it goes together quickly. I made matching bias tape trim for the neckline and armholes, but you can use pre-made bias tape from the sewing store if you prefer. Initially, I decided to skip the optional belt, but once I had the dress together I realized that I probably should have made one. So I whipped up a thin belt out of the left-over fabric. 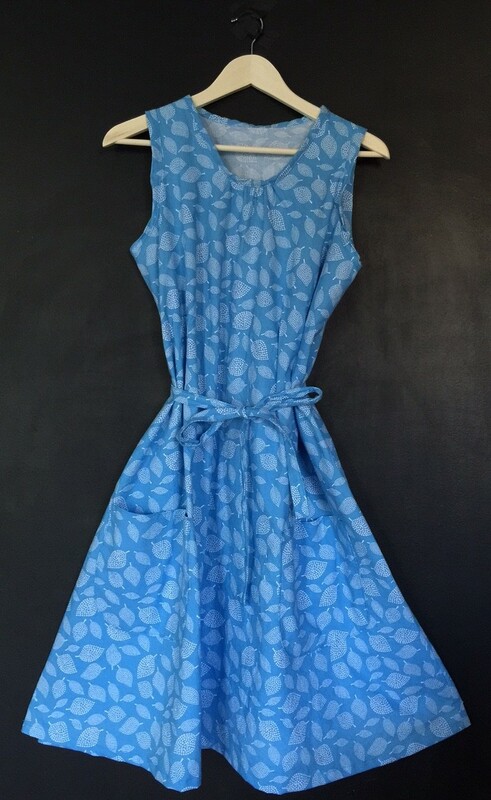 I also decided to add pockets because all my favorite dresses have pockets and I really wanted to enjoy this one. 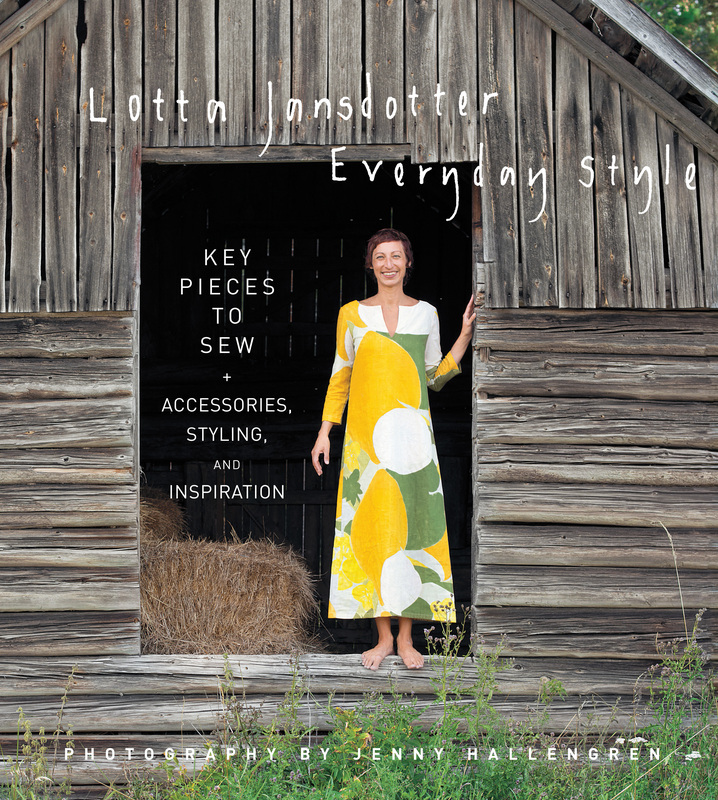 ENTER TO WIN: I believe in the healing power of handmade adventures to my core, so I want to invite you all to leave a comment below about how making stuff has helped you and enter to win a copy of Lotta’s awesome book. A winner will randomly selected. The deadline to enter is 11:59 Dec. 22, 2015. Good luck!! 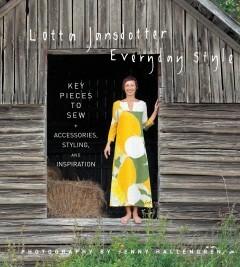 And check out the rest of the blog tour for more examples of sewing projects inspired by Lotta’s book and more chances to win a copy for yourself. 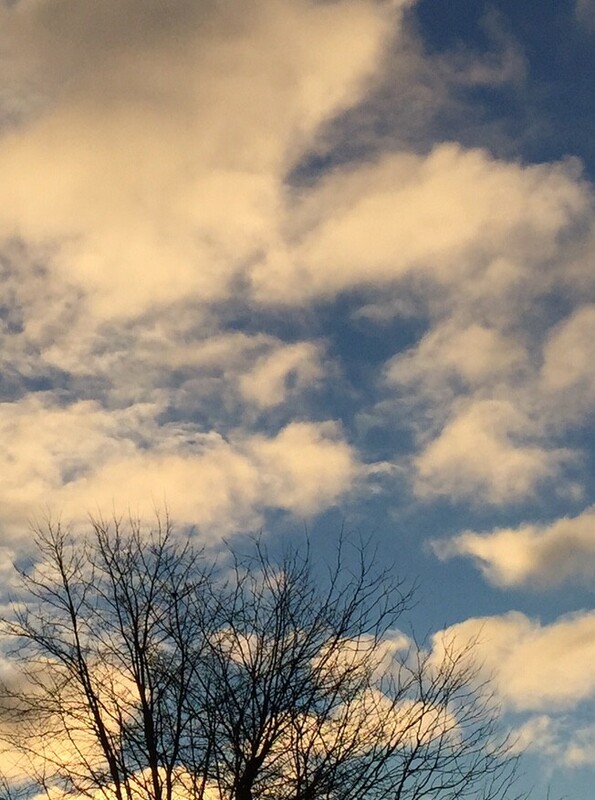 Don’t forget to comment below, look at the sky often and keep making stuff because it really helps.